26 years being blessed this wonderful, if there is one lesson I've learnt is that LIFE GOES ON. 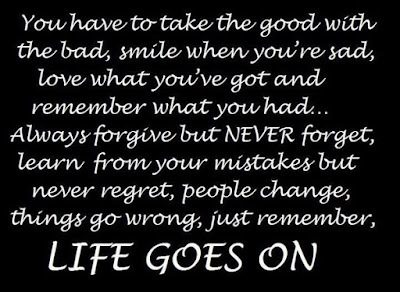 Life Goes On- Even if you fail in an exam. 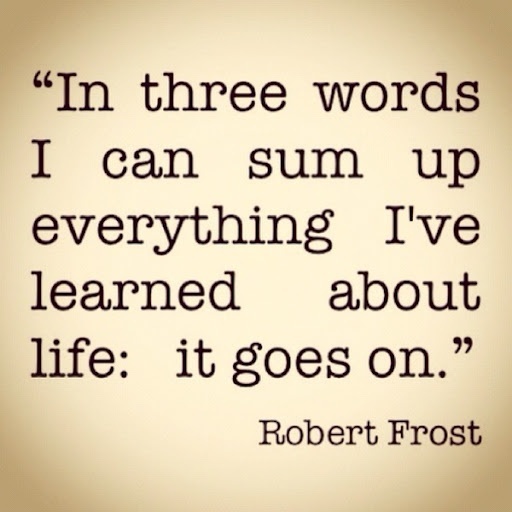 Life Goes On- Even if you get fired from a job. 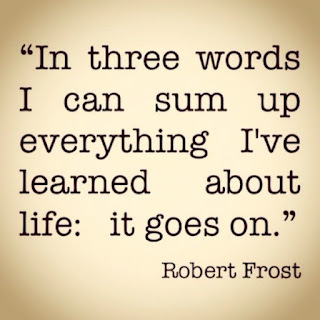 Life Goes On- Even if you lose your best friends. Life Goes On- Even if you don't pursue your passion. Life Goes On- Even if nobody understands what you feel. Life Goes On- Even if you are lonely today. Life Goes On- Even if you haven't achieved your dreams. Life Goes On- Even if everyone thinks you are a failure. Life Goes On- Even if people mock you for who you are. 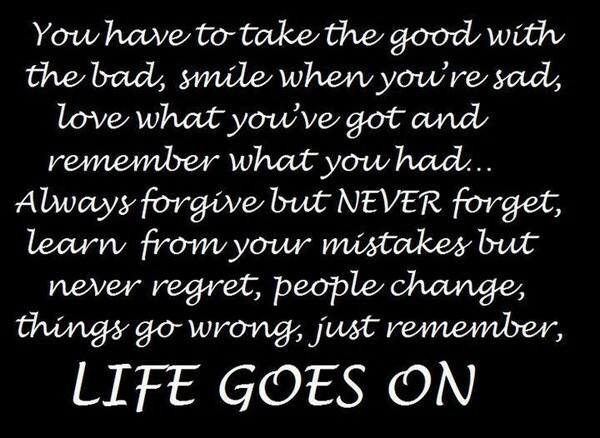 Life Goes On- Even if someone you care for betrays you. At the end of the day my friend, life will always go on no matter what obstacle hits you. 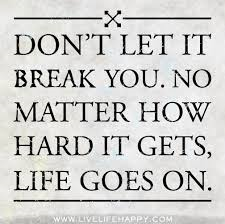 It will hurt, it will be difficult, it will break you down, but remember LIFE GOES ON. The key to happiness is in your hands, no matter what happens my, just remember that LIFE GOES ON, and SOMETHING BETTER WILL ALWAYS COME.